There are many amusement and theme park chains across the world. In the United States, there are five main chains that are widely known. The main chain operators in the United States are Disney, Universal, Six Flags, Cedar Fair, and Sea World. I will be ranking and comparing these five chains. 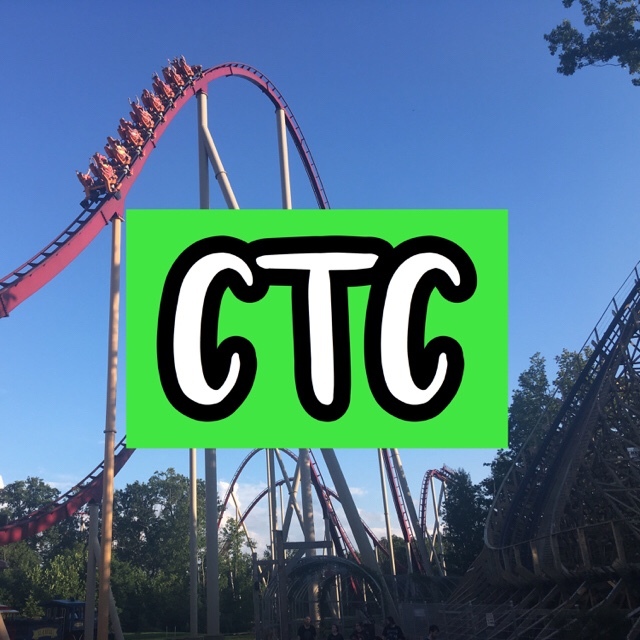 Topics that factor the placement of the chains include operations, rides, cleaniness, service, food, games, admission, safety, friendliness/staff, guest service, and lodging. With the placement of each chain, I will describe the topics listed above and how it led to placement in that spot. Landing at the Number 6 spot is Six Flags. While they have a lot of parks across the country with a wide variety of styles, compared to the other chains, they lack quality or focus in many areas. The tickets and lodging are very expensive for visits to a Six Flags park. The employees and staff at most of the parks are very rude. The parks are not very clean. Operations are not horrible but could use improvement. Guest service is not helpful and unfriendly representatives are common. There are lots of rides a Six Flags parks. Some of their rides lack a variety compared to other parks. In addion, the food is very mediocre. While many people overlook a lot of the things that Six Flags need to improve on, it is quite a list. All of these combined points are the reason some visitors do not have a good experience at their parks. At the Number 5 spot is Cedar Fair. They have a number of parks in the United States with unique attributes to individual parks. Tickets are not too expensive to the parks, especially when there are deals. The employees and staff can vary, at some parks more are rude. Operations are pretty good at most parks. Guest services could use some improvement, it is not the most helpful. There are a lot of good rides at most of the parks and the parks are somewhat clean, some better than others. Food could definitely use an improvement. There is some lodging that is expensive, but high quality. Cedar Fair has some improvements to make along with Six Flags. But, overall, they are doing much better in all of the categories. To clarify before giving an explanation for Sea World’s ranking: Sea World owns Busch Gardens. While they are different, they are all included in this ranking due to being operated by the same company. Sea World has made improvements in the past year to place it at the Number 3 spot on this list. Tickets are very expensive too, especially for Sea World parks. For Busch Gardens, tickets are just above the average for almost all amusement parks. The parks in the chain have decent operations and rides, but it can very for each of the park in the chains. There are many food/games especially at Busch Gardens parks, but at Sea World too. Lodging depends on the specific park. Staff is mostly friendly at all of the parks and their guest service system is very flexible with visitors. Universal takes the Number 2 spot. The operations are great at parks in this chain. Employees are very generous and friendly. Tickets and lodging are expensive. Services and cleanliness are excellent. Many rides and food make the place a great destination. Universal does a great job at all of the topics addressed to determine spots. However, not it is not enough to top all of the chains. Taking the number 1 spot is Disney. In overall terms of balance and quality in all of the topics and areas covered in the ranking, they do the best at them. The operations at Disney are super fast, in most cases. There are fewer thrill rides, but more quality with theming of the rides. The parks are very clean and guest services are very helpful and friendly. Most employees are very friendly. Admission is very high at the parks. Lodging is also very high. Food is excellent at all of the parks. All of these excellent achievements that the company does puts them at Number 1! I’ve been to at least one of the parks in each chain and here is what I think. Six Flags Over Georgia has improved by leaps and bounds from what it was back in the 90’s and early 2000’s. The park is much cleaner than it use to be and it seems to have stopped so many thugs from visiting. Their food options have gotten so much better now and the food is much better than it use to be. As for Cedar Fair, I think Carowinds has improved a lot since 2010. Cedar Fair has put some money into the rides and the park is very clean now. I think they are weak on food though. I was impressed with Kings Dominion as well. I think the Sea World / Busch parks are the best (the Florida parks anyways). I like the direction Sea World is taking now. Their rides and shows are fantastic. The park is always clean and the food is good for the most part. I don’t find Busch Gardens as clean as Sea World, but it is my favorite theme park. They do a food and wine festival that is fantastic. Universal and Disney are both great parks but they’re certainly not my favorites. The crowds and very long wait times are a killer for me. Both are more expensive parks to visit too. As far as theming goes, Disney is the king. Both of these parks have very unique rides and shows as well. I find Sea World / Busch to have much better coasters than Disney and Universal. Food in Disney is very expensive, especially if you eat at one of the better resturants. I know I repeated some of your points here but this is what I’ve experienced. If I was going to a chain park from this list, I would go to 1) Sea World / Busch, 2) Cedar Fair, 3) Six Flags, 4) Universal, 5) Disney. Have a good day Brandon. I enjoyed reading your thoughts! Thank you for sharing your thoughts for some of the parks in these chains. You have a different list compared to mine, but that is always okay. Thank you and have a great day!